Touchwood Flooring is a hardwood flooring company built on pride and expertise. Our Edmonton based company offers exceptional, personalized service and quality products. We have a superb 1500 square foot showroom featuring many styles of Hardwood Flooring such as Engineered Hardwood, Solid Hardwood, Wide Plank Flooring and Oiled Floors. We have a very high satisfaction rate with our customer surveys showing that we meet or exceed our client's expectations 98.5% of the time. Touchwood Flooring has received the Consumer Choice Award for the last 3 consecutive years. We are proud of our knowledgeable staff and our own certified installation crews. We carry the most comprehensive installation warranty in Alberta! *Authorized Dealer of Shaw Flooring* BFC Flooring Design Centre (Builders' Floor Centre Ltd.), established in 1979 by the Wutzke family, has been serving Edmonton and the surrounding area with quality and integrity for over 34 years. Maintaining focus on these attributes has allowed BFC to grow and develop into one of the Edmonton area's largest floor covering dealers. The family's everyday involvement in the company continues to be one of it's most valuable assets. With each new customer that comes through our doors at Absolute Hardwood, we ask them: “How do you enjoy your space?”. Once we clarify that, we’re equipped to find the flooring that best suits their lifestyle and home design. We go above and beyond in ensuring that every client receives high levels of customer service throughout the entire process. We carry the latest trends in flooring and have a solid line of reputable suppliers in place to ensure that the product is here and ready when you are. We pride ourselves on the care and detail we put into our installations and understand that our customers want precisely installed floors in a clean and professional manner. Our personnel have extensive hands-on training and each installation team leader is a journeyman craftsman. We are not happy until you are. From helping you choose the right floor, to installing it around your schedule, Absolute Hardwood Flooring strives to go the extra mile. New Image Flooring is committed to offering premium flooring materials and affordable professional installation, from the world's leading manufacturers, at the best pricing on the market. You've found the store where shopping for flooring is a relaxing and enjoyable experience. Your project will be handled by top-notch flooring specialists and your new flooring is backed by Floors First Buyer's Edge Satisfaction Guarantee. At LRB Hardwood Flooring Inc. we specialize in the Installation, Sanding & Finishing of fine hardwood floors.Our Dust Containment System results in a virtually dustless sanding procedure. We also install: prefinished solid, engineered, laminate and cork floors. Family owned and operated with over 15 years experience. We are a full service hardwood flooring industry using cutting edge technology and the most advanced techniques in the industry,including the most green systems implemented .For all your custom flooring needs Ultimate Hardwood is here to serve your interests and understand the marketplace.We are the only NWFA fully certified company in both expert installations and expert refinishing in northern Alberta. Call today and you will not be disappointed.Ultimate Hardwood is now a Rubio Monocoat dealer and stocks many of their products. We also carry Diamabrushes as well. Call today. We are a family owned and operated flooring business! 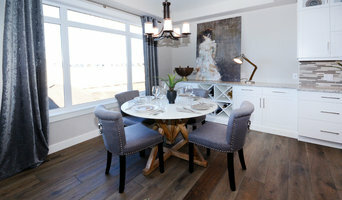 We are Edmonton's best and biggest selection of quality flooring. We have an amazing team who is ready to help you from start to install and finish! Establishing the right flooring for your home is not easy. You need to think about maintenance, durability and how the particular flooring will make the room look and feel. The choices are many from concrete, tile and marble to wood and vinyl. Also, flooring material choices are impacted by the space, carpets and rugs are used in the rooms. Carpet manufacturers and retailers in Edmonton, AB can offer everything from a catalogue of carpet colours and pile options to carpet accessories like underlay, gripper rods. Carpet dealers will need to measure your home and they will provide you with an estimate for materials and fitting service. They should also be able to help with any repair or carpet cleaning services. Similarly, an Edmonton, AB tiler will be able to help you pick a particular type of stone or tile that suits your style and budget. Don’t forget to ask tiling professional to suggest patterns and designs to enhance the appearance of the flooring. A beautiful hardwood floor can be the perfect way to complete a room of any style or design. The right wooden floor specialist in Edmonton, AB will be able to advise you on the options you have that fit your budget. If the wooden flooring cost exceeds your budget don’t worry you can opt for laminate wooden flooring. 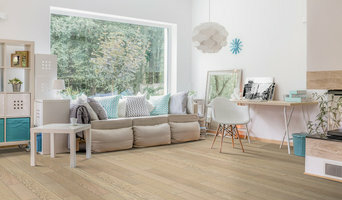 If chosen carefully and done properly, fitting laminate flooring in your home can look almost as good as the real thing. Remember a professional flooring installer in Edmonton, AB is a must to ensure that your new floor fits the space perfectly and remains looking beautiful for years to come. You can also find the perfect carpet or rug retailers and dealers in Edmonton, AB to help you add the finished to your flooring.